All of this year's nominees for the Best Short Story Agatha have female protagonists, but that's about the only thing they have in common. And the protagonists themselves are a diverse bunch, ranging from a midwife still in her twenties to a mystery author who fears she's past her prime. The settings for these stories include a lavish casino, a play space for toddlers, and a small-town bar; the moods vary from light-hearted to ominous. Some stories are whodunits, or whodunits with a twist; some might be described as suspense stories or even as daylight noir. Together, I think, they reflect the vitality of today's mystery short story, and of the many variations it embraces. All the nominated authors contributed to this post by picking excerpts from their stories and commenting on them briefly. I hope that the comments will give you intriguing insights, and that the excerpts will whet your appetite for reading the stories in full (you'll find links to each below). 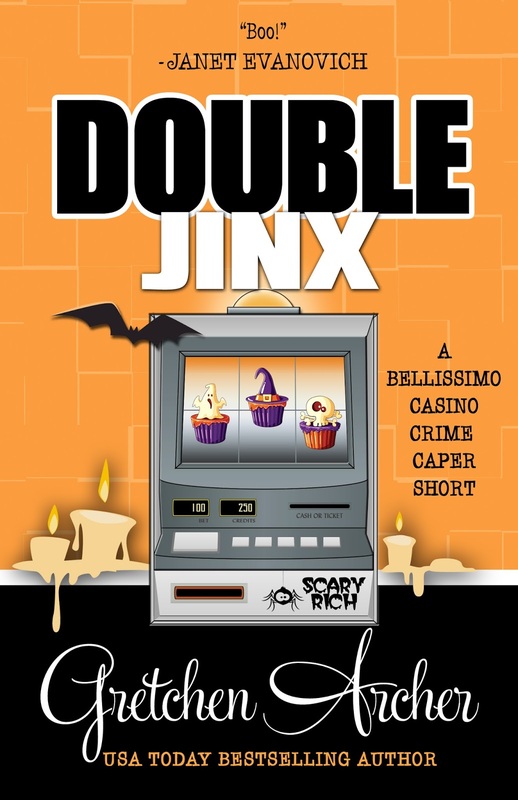 "Double Jinx: A Bellissimo Casino Crime Caper Short Story"
July Jackson's job as a Holiday Host at the Bellissimo Resort and Casino in Biloxi, Mississippi is more trick than treat when one of her Scary Rich slot tournament players croaks. Then $3,000,000 goes missing. And a couple dressed as condiments--he's Mustard, she's Ketchup--might be behind the spooky shenanigans. What's a Holiday Host to do? Call in the flying monkeys? July turns to the highest level of casino security and meets a boy named Baylor. Just Baylor. From there, it's all thrills and chills. "Do you know how to shoot?" "Do you know how to point?" He popped the clip out of the gun and passed it to me. I couldn't remember being this scared or this calm before. It was an amazing sensation, the adrenaline mixed with the quiet confidence. The adrenaline was from what was about to happen. The calm was from him. "Double Jinx" introduces July Jackson to the core cast of characters in my Davis Way Crime Capers. Not only does July go on to be Baylor's love interest, she gives up her job as Holiday Host and puts her Early Childhood Education degree to good use when she takes a nanny position for my main character's toddler twins in the just-released sixth full-length novel of my series, Double Up. I loved writing "Jinx." The holiday theme was so much fun, the Agatha Award nomination so unexpected (I cried) and such an honor, and then there are the bats. Have you seen the bats? "Double Jinx" has the cutest little bats ever. 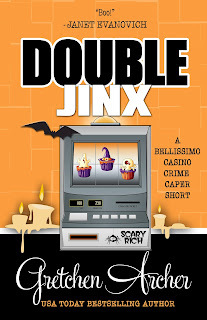 You can read "Double Jinx: A Bellissimo Casino Crime Caper Short Story" here. 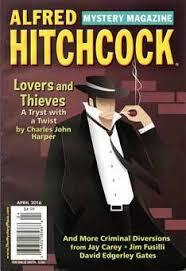 When "The Best-Laid Plans" begins, my main character, celebrated cozy author Eloise Nickel, reads an article in Mystery Queen Magazine about the future of the traditional mystery novel. The article includes patronizing comments about Eloise from her long-ago former friend, Kimberly Siger. Both Eloise and Kimberly will be honored at this year's Malice International convention, Eloise for her lifetime achievement and Kimberly as guest of honor. Sharing the stage with Kimberly would have been hard enough, but now Eloise is livid. So she hatches a plan to get revenge at the convention. Nothing fatal, of course. Just painful. Eloise is cozy, just like her books. This excerpt is set on the day before the convention starts, with lots of people chatting in the hotel lobby bar. I hadn't noticed when Kimberly walked into the lobby, but I figured it out pretty damn quick when the bar erupted in excitement and people ran toward the hotel's front doors. Not everyone, mind you, but a lot of people. It gave me the chance to reach into my purse for my lip balm. My aloe-vera lip balm. Kimberly was allergic to aloe. It's one of the things I remembered from being her friend so many years ago. Aloe made her skin itch and burn upon contact. I slathered on the balm and watched Kimberly head to the bar. I planned to kiss her hello so everyone could see I was the bigger person. She looked better than I'd expected. Still thin from her love of exercise. No gray in her wavy, dark-brown hair. No lines by her eyes or mouth. Her skin was tight, her teeth, sparkling. Clearly she'd had work done. "Kimberly." I rose and opened my arms in a welcoming gesture. Her eyes narrowed for a second, seemingly confused. But she plastered on a smile and stepped toward me. Revenge step one, here I come. "You're here," Malice board member Cherub Lapp shouted, jumping between us and hugging Kimberly. "I've been waiting for this moment all year. You are one of my absolute favorite authors. Can I buy you a drink?" Kimberly grinned. "That would be a perfect way to start the weekend. Thank you." And before I knew it, Kimberly had turned from me, and my chance was lost. Damn that Cherub. Thankfully, I had other plans. I'm often conflicted when I read or watch serial dramas because I want my favorite characters to be happy, to find success and love and contentment. But if they were to do that, they'd get no screen or page time, because happiness isn't dramatic. There's no meat to a plot about happy people. It's . . . sigh . . . boring. The best plots, writers know, involve characters who suffer. 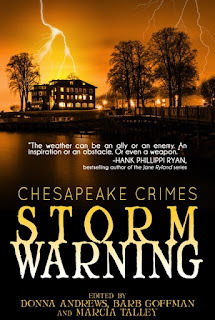 Not that authors have to be sadistic about it, but it's certainly more interesting to read, for instance, about someone whose revenge plans go wrong, who tries over and over to get back at her nemesis, with increasingly unfortunate results. The goal of a plot like that is for the reader to get invested, wanting the next plan to work because they like the main character, while also wishing that the plan flops, because watching the character suffer is so much fun. That's what I'm showing here. This is the first scene in which Eloise tries to get her revenge plans in action, and she gets her first taste of failure. It was fun to make Eloise suffer. (Yes, that's the sadistic side of me.) But I also enjoyed showing her pluck and sarcastic side. I hope that this scene makes readers eager to read more, to see how Eloise fares. Will she get her revenge? And how much will she suffer as she tries? As for you, dear reader, pick up "The Best-Laid Plans" to find out. You can read "The Best-Laid Plans" here. "The Mayor and the Midwife"
In "The Mayor and the Midwife," the very real mayor of New Orleans comes to Massachusetts to visit his pregnant daughter. Quaker midwife Rose Carroll, from my Quaker Midwife Mysteries, is watching over the daughter. At the mayor's request, Rose takes him to meet her police detective ally, Kevin Donovan, because the mayor is struggling with corruption in his government wants to meet some town officials. The following scene takes place during that meeting. "Has his wife been informed?" I asked. This kind of shock could easily bring on labor. Her baby might be mature enough by now to survive the birth, or might not. "Not yet, ma'am," the officer said. "I must go to her. My pauvre fille," Joseph said. "You'll come along, Miss Carroll?" "Of course. Let me quickly pen a note to my next client saying I'll need to cancel. I can hail a boy outside to deliver it." I looked at the detective. I'd assisted him in several cases by keeping my eyes and ears open in the community, especially in the bedchambers of my birthing women, where secrets were often revealed during their travails. Keven had reluctantly grown to accept my participation. 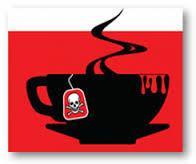 "If it's murder, I'd like to help by listening, watching, and reporting to thee as I have done in the past," I said. Kevin nodded. "Then meet me at the Currier steamboat dock after you see to the wife, will you?" This brief snippet shows the mayor reverting to his native French and the detective conceding to let Rose help with the investigation. It lets the reader know that Rose knows what she's doing when it comes to pregnancy and childbirth, and we hear her musing about the places she can go where Kevin never could. Midwifery turns out to be a great occupation for an amateur sleuth. You can read "The Mayor and the Midwife" here. Nine years later, Cathy again stood in the kitchen--not the kitchen of their apartment in Newton Upper Falls or of their house in Virginia, but of their condominium in Brookline. Once again, Mrs. Morrell and Will, and Faye and Brian, had come to dinner. But Frank was dead now, supposedly in an accident. Really, Cathy thought, it had been suicide by car, suicide by alcohol. Really, it had been murder. She thought back to that first dinner party. Even then, there were signs. If she'd seen them, could she have prevented it? Maybe not. And what she was doing tonight wouldn't really set things right. But it was her only way to strike back against things that were wrong. She gazed at the last blue glass in the cupboard and touched the small bottle in her pocket. I'll fix a special drink for someone tonight, Frank, she thought, and serve it in the glass we chose together. That's all I can do for you now. In one sense, "The Last Blue Glass" is a whodunit, challenging the reader to watch for clues as Cathy thinks back on her marriage. Which of her four guests does she see as most responsible for Frank's death? Who will be the target of her revenge? In another sense, the story is a portrait of a marriage that goes tragically wrong--not because Cathy and Frank are bad people, and not because they don't love each other. Instead, their marriage--and Cathy and Frank themselves--are destroyed by subtle weaknesses in their relationship, weaknesses hinted at even in the opening paragraphs. You can read "The Last Blue Glass" here. Walter stared up through those smeared glasses. "I hate to barge in for a play date unannounced, but given the circumstances . . . "
Maggie shook her head, tried to hold back the tears suddenly welling up behind her eyes, finally found her voice. "It's really not a good time right now. My husband--"
"Away on a business trip." Walter nodded. "I heard you talking to Amy, that's what got me thinking about this, making sure you got home in one piece." He looked at Daniel again, smiled. "Surely you could spare a few minutes for the boys to play." She nodded--unconsciously, reflex really. "A few minutes," she said. "A few, of course." Her words sounded unreal to her, more unreal than his own now, and even as she said them, she knew it was the wrong decision--everything, in fact, the opposite of what she'd always thought she'd do in a case like this. But really what choice did she have, the way Walter had inserted his foot into the doorway and held so tightly to Daniel's hand? And then there was the box cutter jittering slightly in Walter's other hand, raindrops glistening along the razor's edge, the truth behind that flat tire suddenly becoming clear. I hesitated slightly choosing this excerpt since it's nearly halfway through the story--killing any suspense those first few pages might've offered readers who haven't yet read the story. But at the same time, this moment captures in miniature what I was trying to navigate here: the potentially jarring contrasts between what continues to unfold as a very civil conversation (pay no attention to that box cutter, right?) and then the roiling fears, desires, and other emotions underneath that surface. You can read "Parallel Play" here. 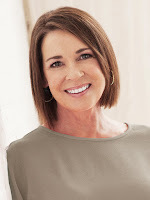 Gretchen Archer is a Tennessee housewife who began writing when her daughters, seeking higher education, ran off and left her. She lives on Lookout Mountain with her husband, son, and a Yorkie named Bently. 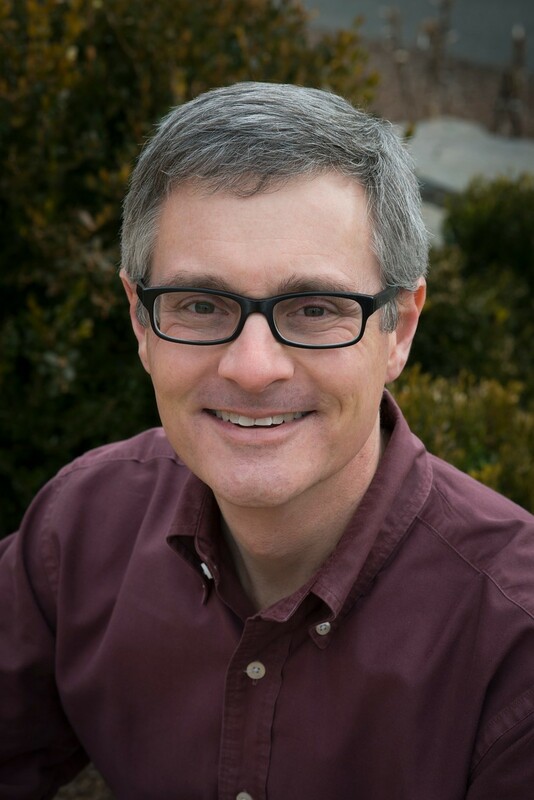 "Double Jinx" was published by the Great Chickens of Henery Press in October of 2016. B.K. 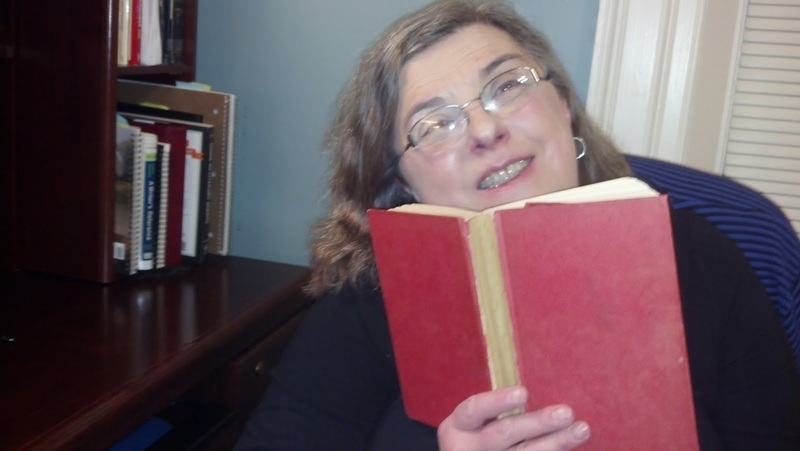 (Bonnie) Stevens taught English for over thirty years and now writes full time. 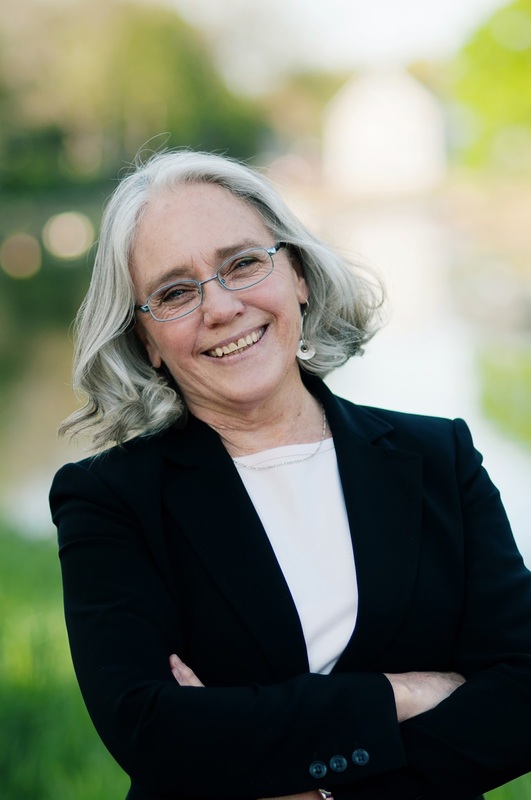 She's the author of Interpretation of Murder, a traditional mystery offering insights into Deaf culture and sign language interpreting, and of Fighting Chance, a martial arts mystery for young adults. 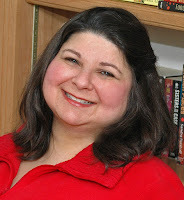 She's published over fifty short stories, most of them in Alfred Hitchcock's Mystery Magazine. Eleven of her stories are included in her collection, Her Infinite Variety: Tales of Women and Crime. B.K. 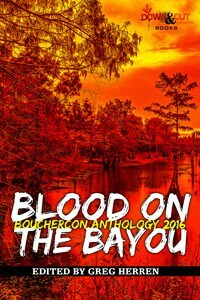 has been nominated for Agatha, Anthony, and Macavity awards and has won half a Derringer. She and her husband live in Virginia and have two amazing daughters, one amazing son-in-law, four perfect grandchildren, and a smug cat. Thanks so much for hosting us, Bonnie! I've read all the stories, of course, but such fun to see the excerpts each author chose and their commentary. 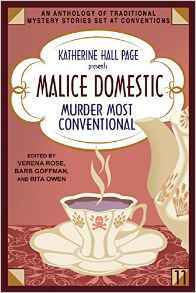 Looking forward to seeing everyone at Malice and to cheering one another on at the banquet--three weeks from today, wow! In "The Mayor and the Midwife," the very real mayor of New Orleans comes to Massachusetts to visit his pregnant daughter. Quaker midwife Rose Carroll, from my Quaker Midwife Mysteries, is watching over the daughter. At the mayor's request, Rose takes him to meet her police detective ally, Kevin Donovan, because the mayor is struggling with corruption in his government back home and wants to meet some town officials. The following scene takes place during that meeting. How lovely to have three Sleuthsayers authors up for the prize. Wish you could all win! What a fascinating array of mayhem. And how impressive that three Sleuthsayers are nominated (Hi, Edith, too)! Great sampler. Now, I have to go back and read the full stories (thanks for the links, too). Congrats to all. I have read most of those stories and enjoyed them muchly. Thanks, Jacquie! And thanks for stopping by. Such great stories. Thanks Bonnie, for showcasing them. Congratulations and great luck to all! Thanks, Terrie! It was a pleasure to host all these talented authors! Thanks, everyone, for coming by and for your kind words. And thanks again to Bonnie for organizing today's post. Congratulations to all of you! Everyone is a great story. John and Pam, thanks for your congratulations--we all appreciate them. And Barb, thanks for contributing to the post. You and the other authors made this one an easy one to write! Thanks so much, Beth. I agree--readers have a great selection of stories this yea, with lots of variety. I hope we get a real chance to talk at Malice! Congratulations to all, and what great stories!